I first came across the term ‘Ellrovian‘ at the James Ellroy archive at the Thomas Cooper Library, University of South Carolina. Ellroy himself used it in the outline to an Underworld USA novel. My PhD supervisor cautioned me against using the term, however. His concern was that such terms, like ‘Pythonesque‘ or ‘Pinteresque‘ or even ‘noir’ itself for that matter, become saturated and meaningless. I agree with that, but I think it’s partly a consequence of certain writing or genre styles becoming a pop culture phenomenon. Ellroy has become a very influential author, and the stylistic traits of his work can be found in the fiction of a younger generation of novelists, two of whom, Megan Abbott and David Peace, I’m going to discuss in this post. To call Abbott and Peace’s work Ellrovian is rather limiting. I don’t deny they’re brilliantly original talents in their own right, but I think it’s fair to say there is an Ellroy influence that is worth investigating, especially as, in many regards, they are very different writers. 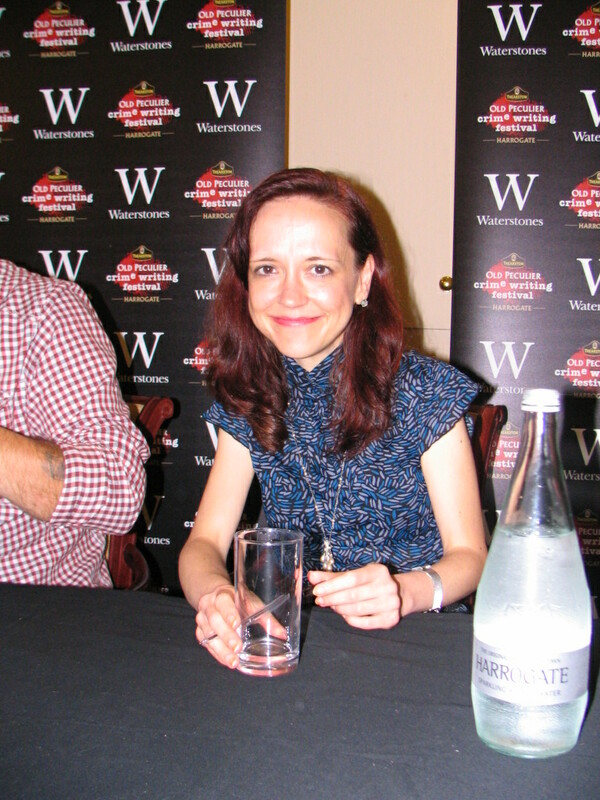 Megan Abbott’s novels Die a Little (2005), The Song is You (2007), Queenpin (2007) and Bury Me Deep (2009) are renowned for taking a retrospective look at the classic noir era and giving a female perspective to a femme fatale role too often defined (and arguably created) by male authors. Her recent novels The End of Everything (2011) and Dare Me (2012) have moved away from a distinctly noir setting and explored different themes, but her early work displayed an Ellroy influence. Abbott mentions Ellroy’s work briefly in her study of the genre The Street Was Mine: White Masculinity in Hardboiled fiction and Film Noir (2002), and she wrote a tribute to the author for The Rap Sheet. In an interview with Rebecca Godfrey, Abbott describes her first two novels as ‘lovesongs’ to Ellroy. When someone needed to pick up the big-shot buccaneer at the drunk tank and slip some green to the blue, he sent Mike or Freddy or reliable old Bix. They kicked needles down sewer grates, slipped suicide notes into pockets, gave screen tests to hustlers quid pro quo. Hop had it taken care of. He had it fixed. Mr. Blue Sky. All from his chrome and mahogany office, cool and magisterial and pumped full of his own surging blood. The Spangler case awakens a deeper moral side to Hop which subtly and surprisingly emerges when he comes across song and dance duo Marv Sutton and Gene Merrel whom he believes are connected to the disappearance. Behind the Hollywood glamour, Sutton and Merrel’s repugnant attitudes towards women makes them too much too bear even for a hardened pro like Hop. The different facets of Hop’s personality remind me of Ellroy characters such as the homosexual fixer Lenny Sands and the motormouth journalist Danny Getchell. The novel ends with Hop meeting with perhaps his most desperate client: the doomed actress Barbara Payton. He knows he can do nothing for her, but she catches him in ‘rare sentimental mood’, and with these two tragic characters, Abbott merges the factual and fictional in her take on Hollywood lore. Through The Song is You and other novels, Megan Abbott’s revisionism of the classic femme fatale has been every bit as groundbreaking as Ellroy’s fictional history of 1940s and 50s Los Angeles in the LA Quartet, and between the two of them they have completely reinvented the noir genre as we know it. In the novel, put-upon crime reporter Edward Durford becomes an unlikely crusader-hero when he investigates a series of brutal murders of young girls. Ellroy fans will note that in 1974 the grisly detail of the swan wings being stitched onto the back of the ten year old murder victim Clare Kempley is almost certainly a reference to the murder of child star Wee Willie Wennerholm in L.A. Confidential (1990) who has bird feathers stitched into the back of his corpse. 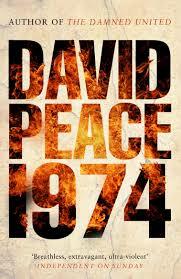 Be warned: the violence in 1974 is graphic, and I once saw David Peace at an event in Belfast express some regret at how lurid the story is. Peace has improved immeasurably as a writer since his debut novel, and his subsequent portrayals of violence have been toned down. Still, since the publication of 1974 the revelations that have come out about the Hillsborough disaster and Jimmy Savile have been more horrific than anything that could been rendered in fiction. As more disturbing details about the UK’s history come to light, perhaps the ingrained corruption and ultra-violence in Ellroy and Peace’s writing will not seem so hyperbolic after all.